TELEVISION: SPEED: Saturday 8:30-11:30 a.m. ET; 3:30-8 p.m. ET; 11 p.m.-9:30 a.m. ET (Saturday p.m. through Sunday a.m.). The grid has been set for tomorrow’s running of the 24 Hours of Le Mans, with two Audi R18 TDIs occupying the front row. The #2 Audi R18 TDI (Tréluyer / Lotterer / Fassler) sits on pole position with a time of 3:25.738 set by Benoit Tréluyer in the last minutes of the final qualifying session. 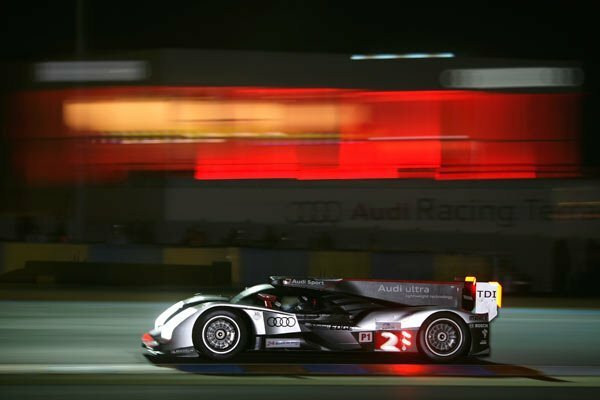 Next to them in P2 is the #1 Audi R18 TDI (Bernhard / Dumas / Rockenfeller) with a time of 3:25.799. The Peugeot Sport 908s had a strong showing as well and sit just behind the leading Audis with the #9 Team Peugeot Total 908 ( Bourdais / Pagenaud / Lamy) in P3 with a 3:26.010 and the #8 Peugeot Sport Total 908 ( Sarrazin / Montagny/ Minassian ) in P4 with a 3:26.156. The #3 Audi R18 TDI (Kristensen / Capello / McNish) and #7 Peugeot 908 (Davidson / Gene / Wurz) round out the 3rd row. Only a mere .534 second separate the P1 and the P6 qualifying times. The West Houston Squadron division of the Commemorative Air Force held their annual open house at West Houston Airport this past weekend, and as an aviation buff I couldn’t pass up the opportunity to go check out aircraft from WWII and Korea. The CAF is an all-volunteer organization that is privately funded and entirely self-supported by men and women who love restoring and flying these old warbirds and showing them off as a tribute to those who built, serviced and flew them. 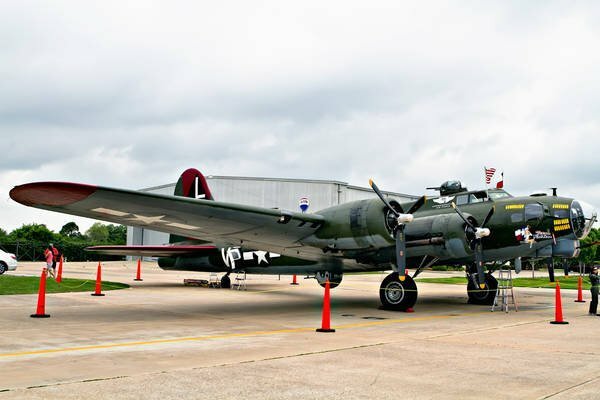 Though the weather in Houston wasn’t the best for flying this weekend, the CAF managed to bring out several beautifully restored planes such as the B-17 Bomber which is owned and maintained by the Texas Red Raiders, a part of the Gulf Coast CAF Wing. This particular B-17G has been recognized by several historical aircraft organizations as the best restored specimen in the world. We have a full gallery of the B-17G and all the other beautiful aircraft on display at the open house after the jump. Enjoy! During the 24 Hours of LeMons at Infineon last weekend they held a “cheaters” pinewood derby. Since I had already written a “Racer Boy” blog on how to win the pinewood derby the pressure was on to make a good showing. So how did we fair? Check out the video after the jump and see the world’s first in-car camera from a pinewood derby car and the taste of victory. 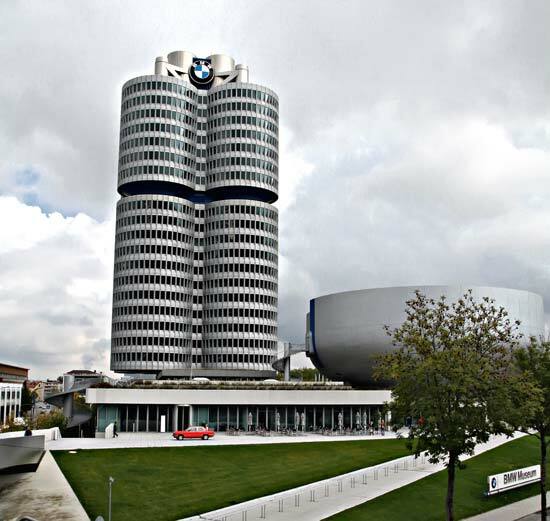 No motoring enthusiast’s trip to Germany is complete without a stop to the BMW Museum located adjacent to the Olympiapark in Munich, Germany. Built in 1972 just before the Munich Summer Olympics opened, the museum features vehicles and powertrains dating all the way back to the early 1930s. As with our prior museum galleries, we’ve photographed each exhibit at the museum for your enjoyment. Leave a comment and let us know what exhibit in the BMW museum you would love to see in-person the most. If you enjoy this gallery, don’t forget to check out our other photo galleries from our trip to Germany, and like us on Facebook to have a chance of winning a copy of Need For Speed Shift2 for the console of your choice!